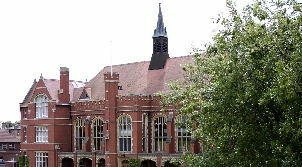 Bedford School is an independent British boarding and day school that offers boys aged 7 – 18 a complete and balanced education. The school aims to teach boys to think intelligently, act wisely and be fully engaged in a challenging and changing world. As one of the top boarding schools in the UK, Bedford encourages its pupils to stretch themselves, to learn to lead and to be ambitious, to prepare them for the exciting and challenging world that lies ahead of them. 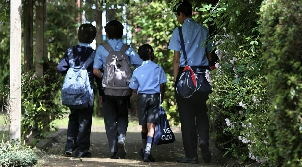 Life for pupils at the School is very full and, from their earliest years, pupils are encouraged to take full advantage of the endless opportunities open to them. There is an easy mix of day boys, weekly and full boarders, all of whom enjoy outstanding facilities and a full social life. Academic ambition is strongly encouraged and supported throughout the school, and pupils enjoy demanding lessons that are designed to challenge intellectually and to inspire their natural curiosity. Bedford has an outstanding academic record and a long history of impressive examination results at GCSE, and at A level, and the International Baccalaureate Diploma in the Sixth form. The School has, in recent years, achieved some of the best IB results in the country. The pursuit of academic excellence is complemented by an outstanding variety of extracurricular activities intended to foster independence and community spirit among pupils of all ages. 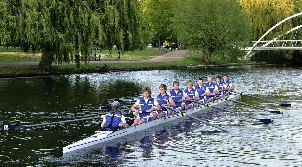 Bedford School enjoys a long sporting tradition in rugby, hockey, cricket and rowing and has excellent modern sporting facilities. The school aims to instil a life-long love of sport in all of its pupils, who are encouraged to try a wide range of new sports during their time at school. Art, music and drama also hold an important place in the heart of the school. 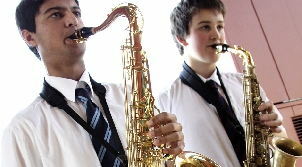 A state-of-the-art Music School is home to a dedicated recital hall, while the Art Department offers boys modern facilities and a stimulating creative environment. The school’s own 250-seat theatre hosts both school and professional shows. 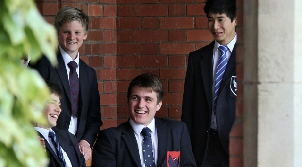 Boarding pupils live in one of the school’s six boarding houses, each of which functions as a family unit under the guidance of a housemaster. The accommodation is modern and comfortable, with extensive facilities intended to help boys feel at home during their time at Bedford School.